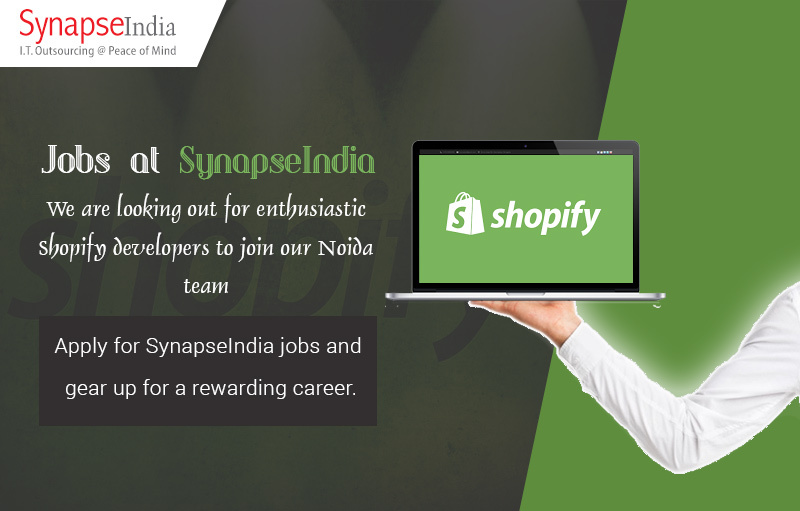 Find out SynapseIndia jobs openings for Shopify developers on our job website. As a world renowned and highly respected IT services provider, SynapseIndia is an ideal place to build your career. We are one of the Shopify's most highly acclaimed partners and have delivered number of Shopify based eCommerce portals for our clients globally. We work with a portfolio of large number of Shopify eCommerce clients and handle projects of businesses of all sizes. With a strong team of more than 500 full-time IT professionals, SynapseIndia has emerged as a pioneer in its niche industry. Checkout SynapseIndia jobs openings in Shopify development.